I bet many of us know someone with brain injury - of varying degrees - but the fact is that if you immerse yourself in the world of cycling, you will know someone who has had injury to their brain. It has to be one of the scariest things for a cyclist and yet it is often not in the spotlight. This year team Garmin-Sharp made a noticeable change in helmets to the POC Road AVIP; this year I followed the progress of Dale Stetina after his terrible road crash and brain injury; this year I need three hands to count the number of people I know with outward signs of brain injury. Accidents happen, but if we understand the type of unseen damage that is happening, we understand the treatment and know where to find help - outcomes may improve. A broken bone can mend, but a broken brain can change a life forever. This video is really really excellent at explaining exactly what happens to a cyclist in a fall. About why the intensity of the fall does not equate to the severity of injury or to the longevity of symptoms. And why we need to seriously rest both physically and mentally (for about 2 weeks) after a fall and should not be rushing to get back on the bike, just as a ball player should not be rushing to get back in the game. Eric Freitag is a licensed psychologist and a board certified clinical neuropsychologist. He started the Sport Concussion Program in 2006 and has provided baseline and post injury care to hundreds of athletes. He explains the risk factors for athletes as well as the medical implications of concussions. Learn how to spot a concussion, when to see a doctor, and how treatment should progress. Please watch this video, and thank you to my cycling friend Suze for sharing the link. If more athletes, coaches and officials had a clear understanding of signs and symptoms and what to do for an athlete post crash, perhaps someone could stand up and say no to a cyclist wanting to race in a later category or the next day. Watch this video and you will understand exactly what is happening to our brains. This is an area where education would help immensely. A friend, Scott, highly recommends this organization for individuals with brain injury. Brain Injury Alliance of Colorado - serving individuals affected by all forms of brain injury such as stroke, TBI, tumor and infection. Improvements in engineering of helmets continues, but the nature of falls in cycling are best treated by experts, and rest. Thomas Dekker in the team's new look for 2014 - POC. 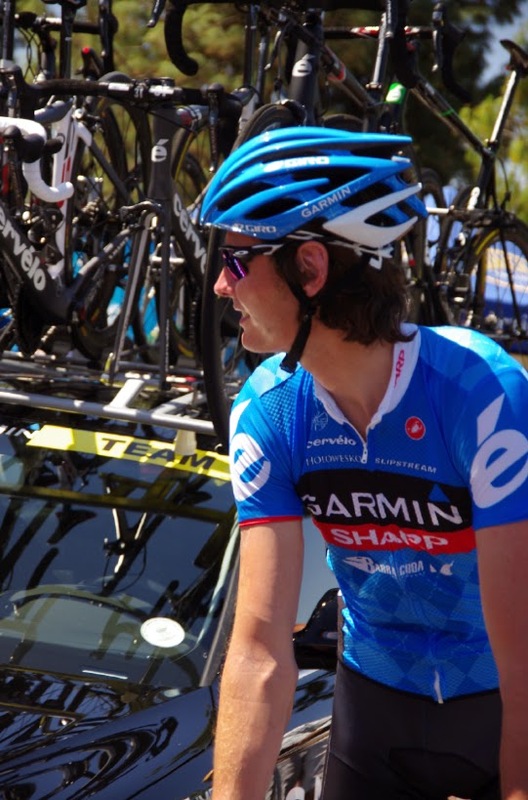 Photo from Garmin-Sharp team website. 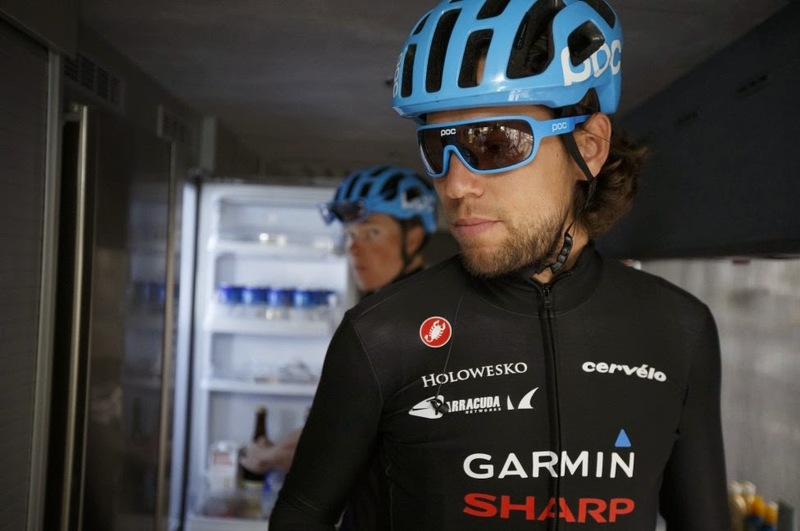 You probably noticed the new look on the heads of Garmin-Sharp riders, whether you like the style or not, the purpose is safety. Although the purpose of those POC sunglasses seem to be pure style. 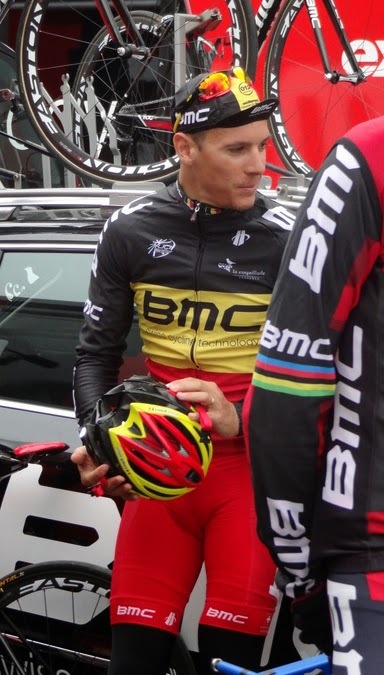 Garmin-Sharp riders will wear the Octal helmet, the Octal Aero and the Tempor TT helmet for the next three years. Related post by Pedal Dancer: Protect your noggin.